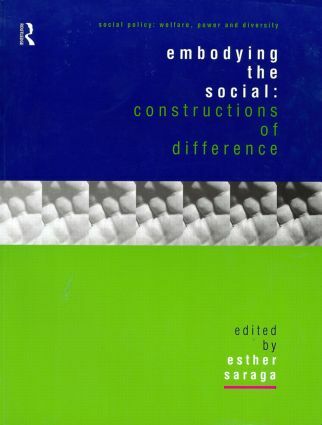 This book opens the series with a consideration of the social construction of social difference. Taking the body as the point of departure, it deals with the processes through which social problems and social inequalities are constructed. In particular, it examines the shifting ways in which our ideas about issues such as 'disability', 'race' and ethnicity, and sexuality influence the development of social policies.